The RoSPA (Royal Society for the Prevention of Accidents) awards offer organisations an opportunity to prove their commitment to raising health and safety standards. Many awards are company or project wide, however the Guardian Angel Award celebrates the work of individuals who have gone above and beyond to improve the safety of others. Its aim is to inspire others to take up the torch and help shape a safer society for all. 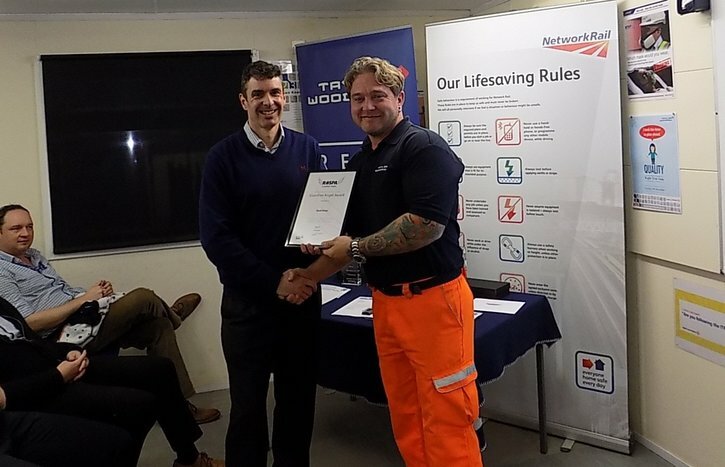 Dave Grew, Safety Advisor at Filton Bank, has recently been recognised with this award for making a demonstrable difference in the world of health and safety and accident prevention, through personal initiative, diligence, enthusiasm and commitment.